This, might be the worst action figure of the year! What the hell happened with this guy? I can't get one pleasing angle. Just look at those "I have to pee legs", he must have been packed up for a loooong time. 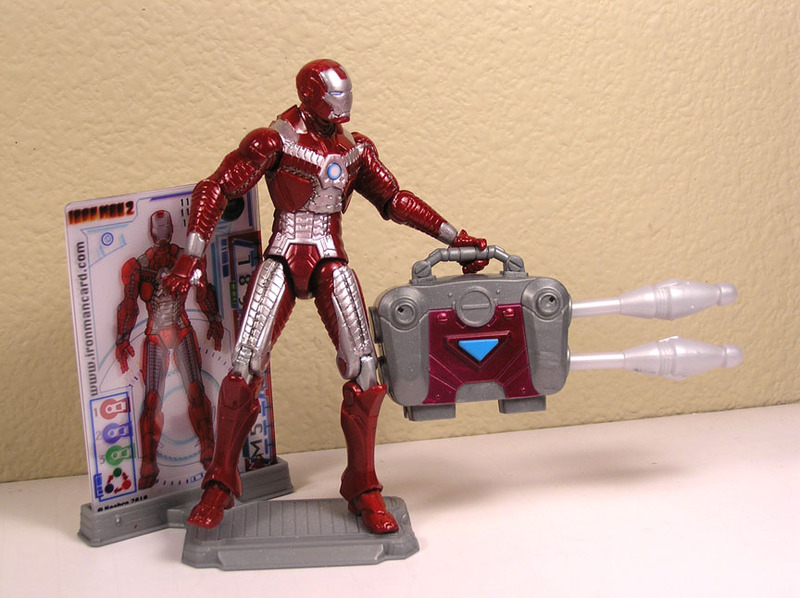 The designers couldn't even think of anything neat to do with it, so they highlighted the fact his Jet Pack is removable, wtf. 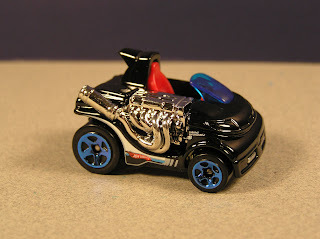 My version has plastic flaws all over it, and the paint application is sooo boring. He even looked out of place in the package, good thing I was able to bargain "Buy one get one free" off a Marvel coupon meant for other Marvel figures (insert long story). At least he stands okay with his brother Larry. I wasn't planning on buying so many action figures this weekend, but they kept falling into my lap. I ran into this drone Larry, and his brother Lloyd and immediately picked them up, as they are rare, or new, or hard to find or some junk. 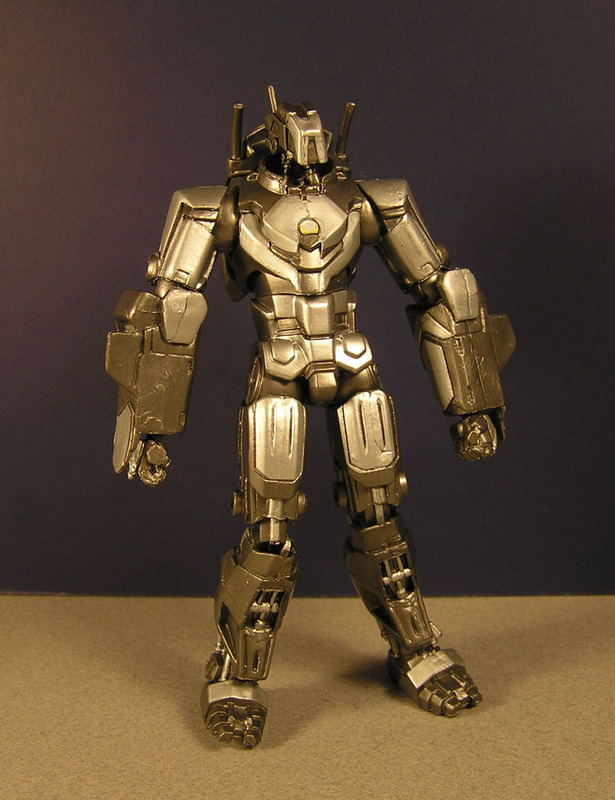 In the package the Weapon Assualt Droid looks awesome! Saw arms, Whips, and an extra head! Outside of the box, he's not so great. Kind of hard to get him to do anything poseriffic. 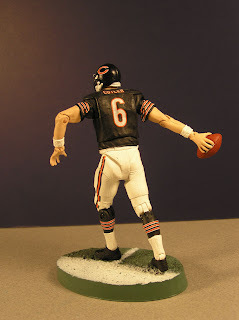 His hip and legs are so clumsy (Like Cutler's). He has these arm shield panels, that well, just don't do it for me. 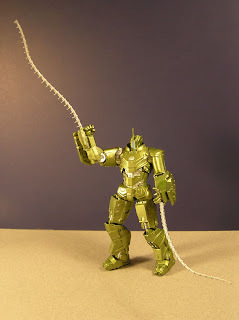 I do like the extra long flexible whips, it gives him an insect like feel. Yet, I have a hard time getting these whips to tie around Iron Man. I can't believe the makers resisted the urge to make a whipping action feature. 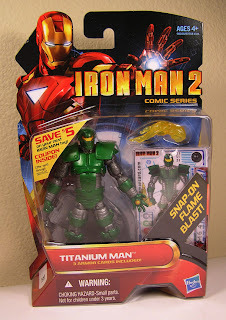 I think, stand alone, this toy is kind of lame compared to the other Iron Man figures. 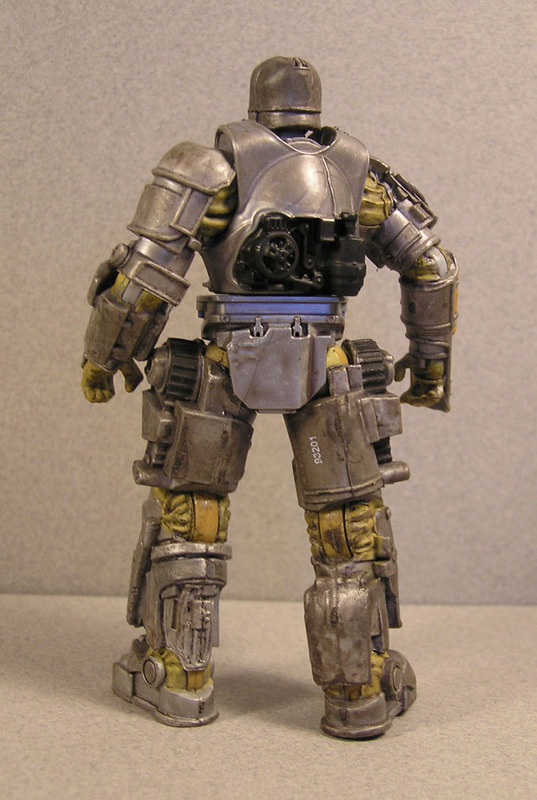 But if I team him up with Lloyd, and maybe get the third drone Ted, they will be a lethal bunch. I'll show of Lloyd tomorrow. 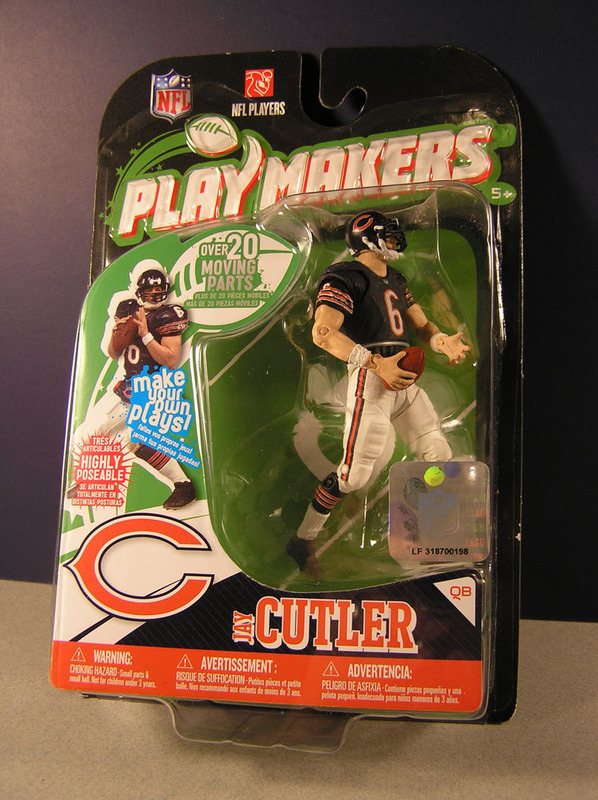 Here's a weird toy to highlight, Chicago QB Jay Cutler. I usually don't buy into the sports toys, but this one was too fun to pass up (get it). 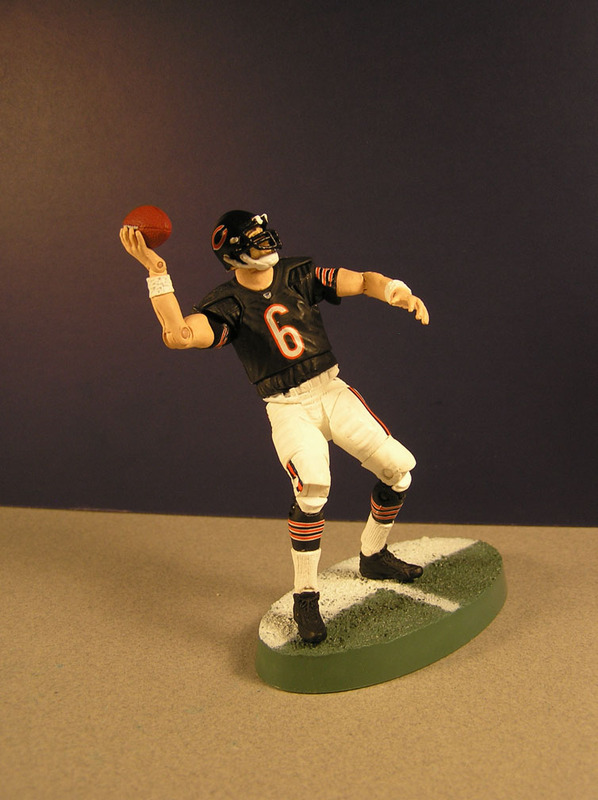 Yes, I am a Bears fan, so at times its nice to pick up some team merchandise, and what better buy then their lackluster Quarterback! Well I shouldn't be too hard, he did throw a career tie, 4 touchdowns today against the Eagles. In short Jay throws a lot of interceptions, and this season a new trick emerges, a lot of sacks. Still, at times he can play good, so its always a mixed bag. Right away you can see the biggest flaw of this toy... No accessories, or even an all important display stand. Look at his little feet, those are not going to hold up the more than 20 moving parts. 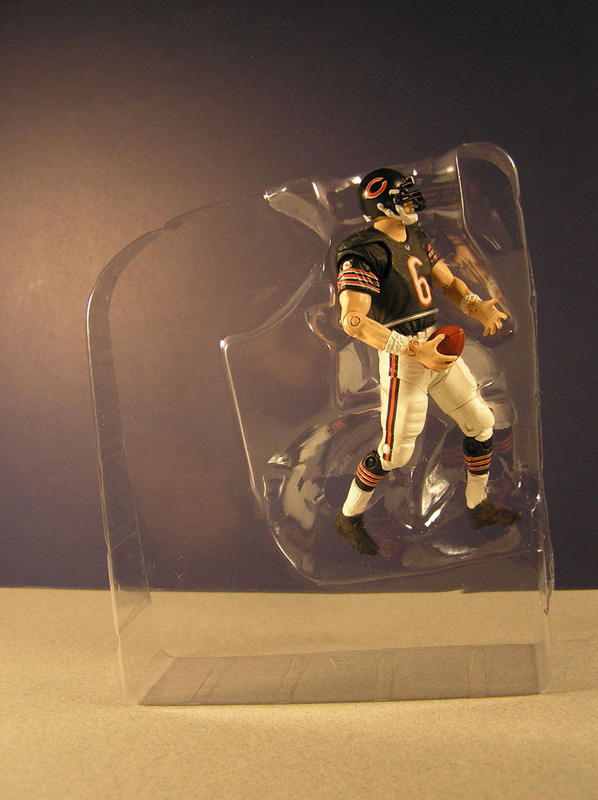 I guess the sports collector purist wouldn't even take him out of the package to care, but then what is the point of all that articulation? 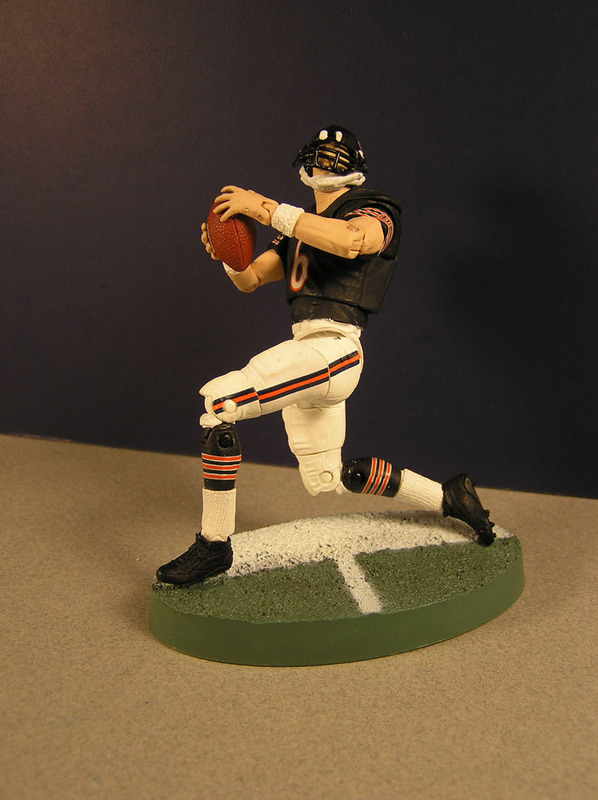 Include display stands people (he borrowed Peyton Manning's sideline base, so don't call him out of bounds)! 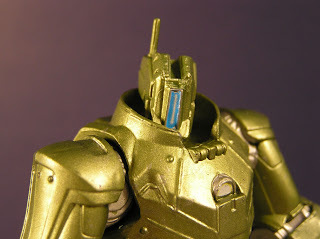 Close up detail shows his paint aplication looks almost handmade. It has a rough texture in spots, and feels like it could rub off. The camera really picked up some plastic imperfections that don't show with the normal eye. 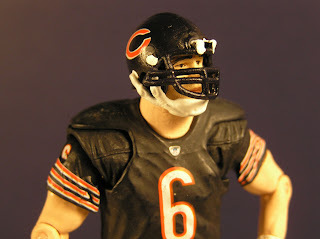 His face mask is a little smooshed, and it hides his likeliness pretty well. Could be anyone in there. 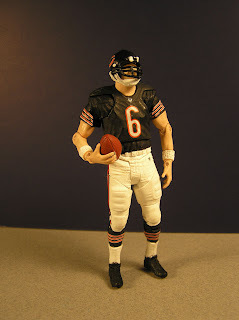 The figure is sized at around 4" or so, but maybe in par with 3 3/4 scale, remember football players are huge. 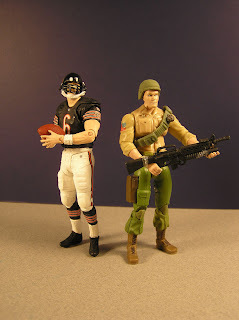 Jay will have to win a Super Bowl before he is even considered to join the Fridge in GI Joe. 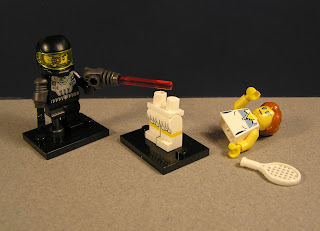 Epic Lego Minifigure Battles! Stars of Series 2 and 3 throw down! A little somethin somethin I've been filming. Please share with your friends. 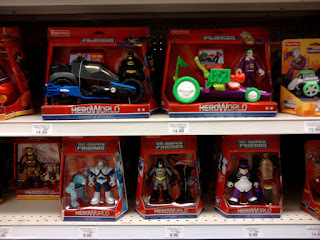 Here are my toy suggestions for awesomeness this year, being the toy collector guru that I am. Before I throw down, I want to remind you that my choices fall for both boys and girls (even though most choices are unfairly labeled as boys toys). 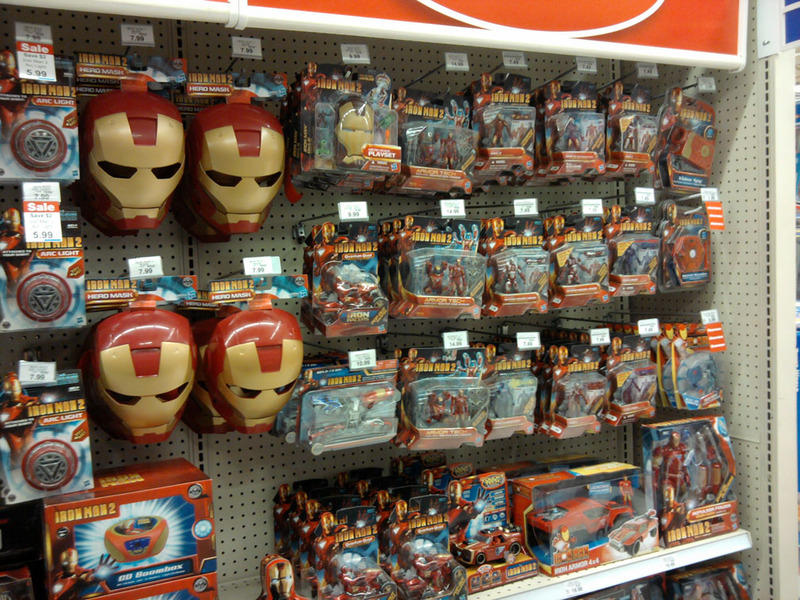 Its ridiculous to divide the toy aisles that way, and I hope when you buy for your kids you are thinking what best toy will spark their imagination. Maybe, get what they ask for first, but also surprise them with something different too. 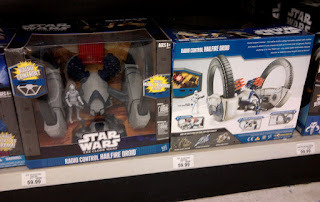 I Start with the Star Wars Hailfire Droid RC Vehicle. 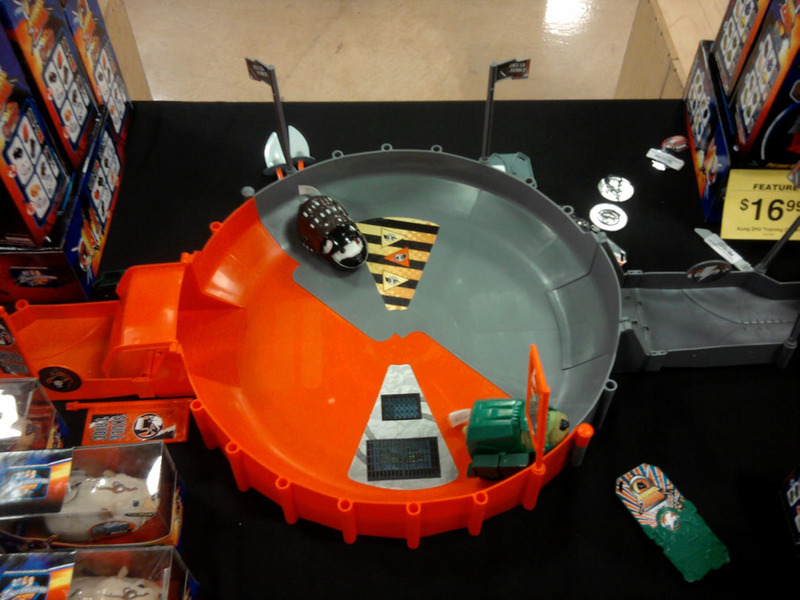 I can't think of a better toy to run over your armies of Star Wars figures. As a bonus you can chase your cat and fire missiles at it. I haven't got to play with one yet, but I bet with those two big wheels, you don't have to worry about it falling over too much. 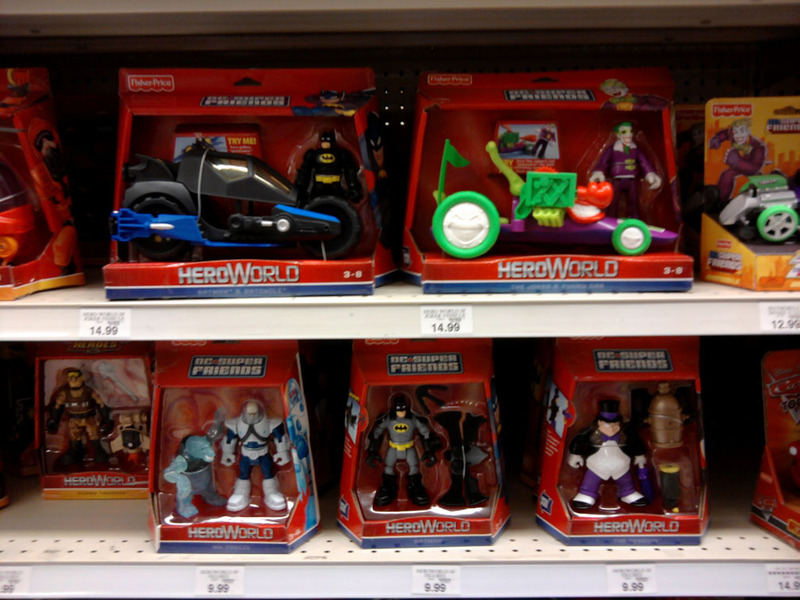 DC Super Friends, HeroWorld, from Fisher Price look like a nice durable play toy for the Batman Superman world. 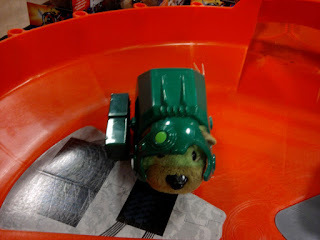 And if those don't fly Imaginext and Trio also look fun. I can't stop playing with my Imaginext Batcave set. Did someone finally invent SNL's Happy Fun Ball? 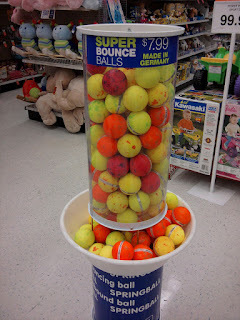 It looks that way with these Super Bounce Spring Balls made in Germany, sold at Toys R Us. 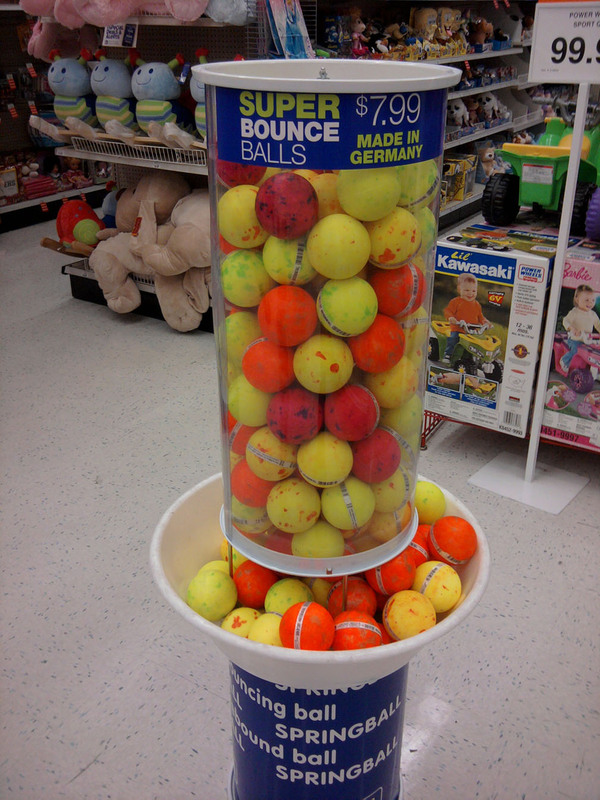 They have an authentic warning label and they did bounce pretty far (and what is that residue left on my hands?). Watch out for your chandeliers! 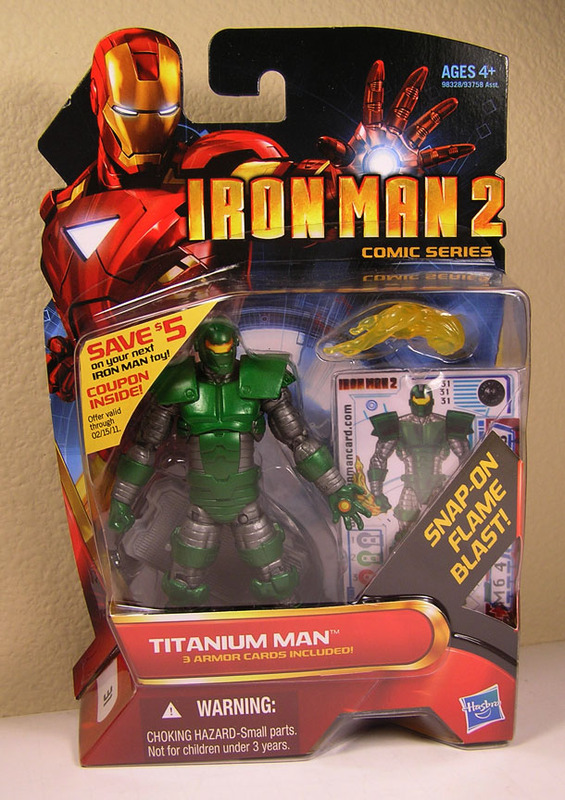 Iron Man toys are on the list this year. I would suggest buying three or four, so the fun metal battles begin. Which reminds me, try sticking with a theme for giving toys. Pick a few from the same line to play with. That way you teach your kid the ways of unhealthy toy collecting and hopefully toy hoarding. 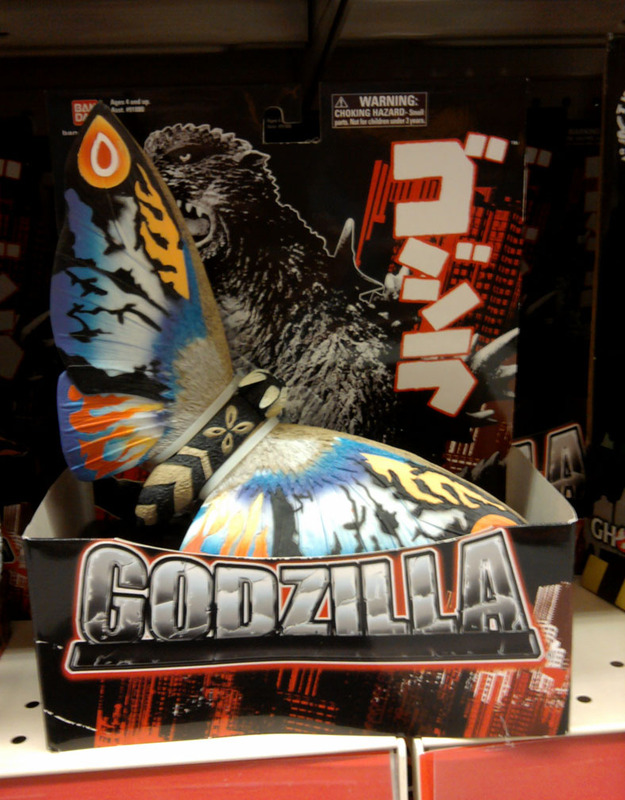 Godzilla is a holiday icon under the tree, but this year, show Mothra some love. I found this one at Toys R Us too. 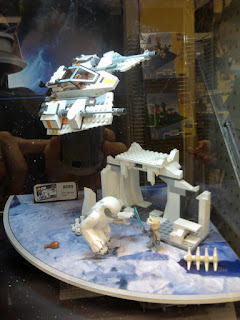 Star Wars Legos are the best of the best in Legos. There are a ton of cool ships and minifigures to choose from. This new Wampa pack is spectacular. Also search for the Wampa floor rug, thats funny. For Zhu Zhu pets, I would go with the warriors, as its way more fun. If you want a regular Zhu Zhu pet, go get a real hamster. 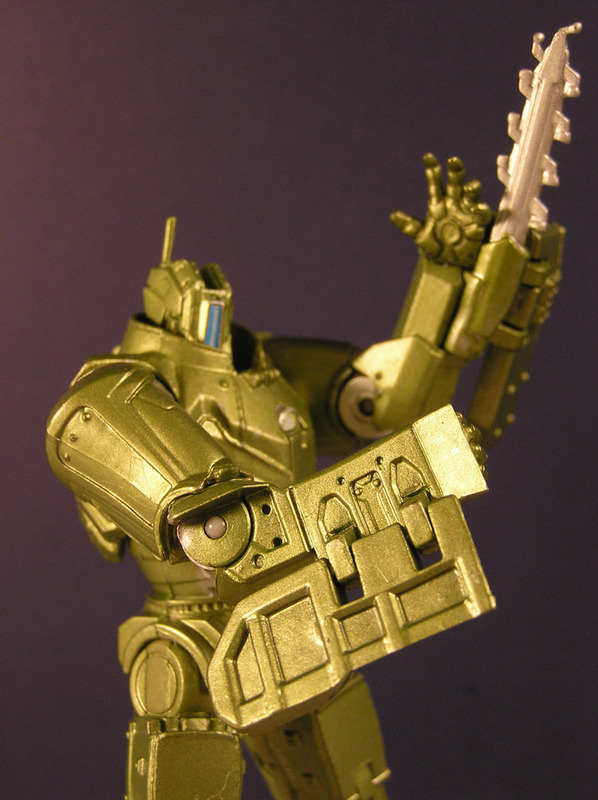 If you want something greener with weapons go with the warriors. Don't forget to get them their armor too (it takes a few minutes to figure out who wears what). The Arena set is hilarious. They make funny noises, and then charge each other for supremacy. If you're still not sold, think of the holiday gambling opportunities when the spiked egg nog kicks in. So thats my first list of suggestions. If I see any more must haves, I will let you know in the next few weeks. So this Batmobile does exist! Modeled after the Vroom machine from Batman: The Brave & The Bold, it's another addition to the Batmobile pile of Hot Wheels cars. Its pretty neat overall but it does have a very trim waist line. 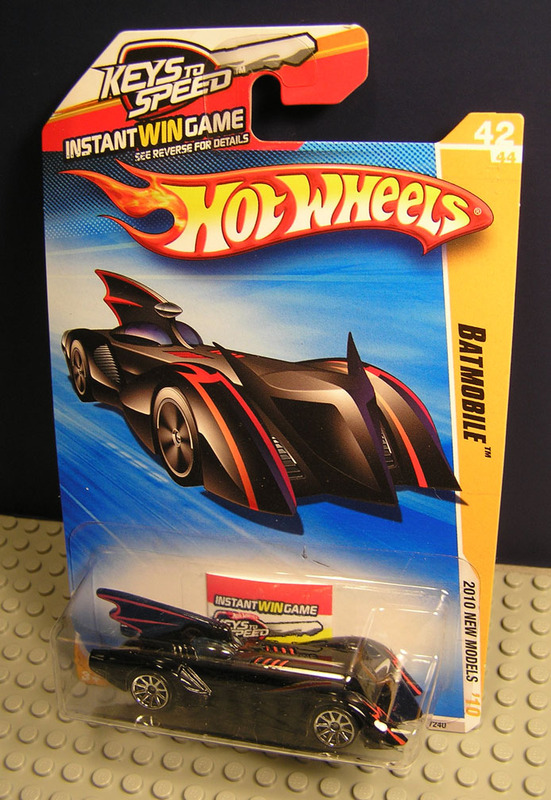 I like the bat head feature on the front, makes for good style. The tail section is very reminiscent of the old 60's Batmobile. I found two, as once I learned its number, 42 of 44, and color of box, yellow, I got on my hands and knees to hunt. 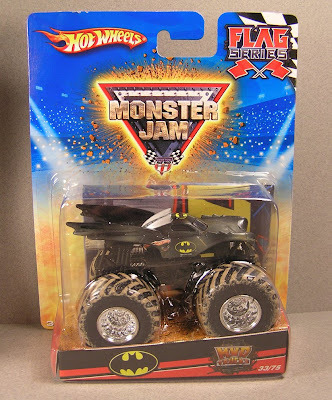 I will have to try it on the official Batman track to see how it flys. Yes of course, go buy it if you don't have it! Its only a dollar, Bruce pays way more for his. 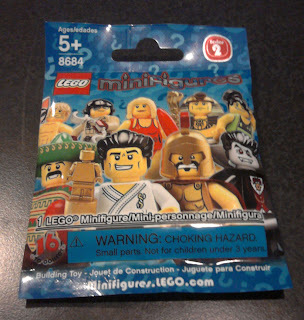 Lego Minifigures Series 3 is out! Is there a code to crack? As quickly as series 2 came and went, series 3 is now on a local store shelf. About six cases too, so maybe Lego upped the production? I just hope that when I return, some idiot didn't buy all six cases. The bad news is, the code breaker bar code is gone, and the chaos now begins. Great job Lego, now morons will be slicing these open with pocket knifes, and leaving a mess all over store aisles. 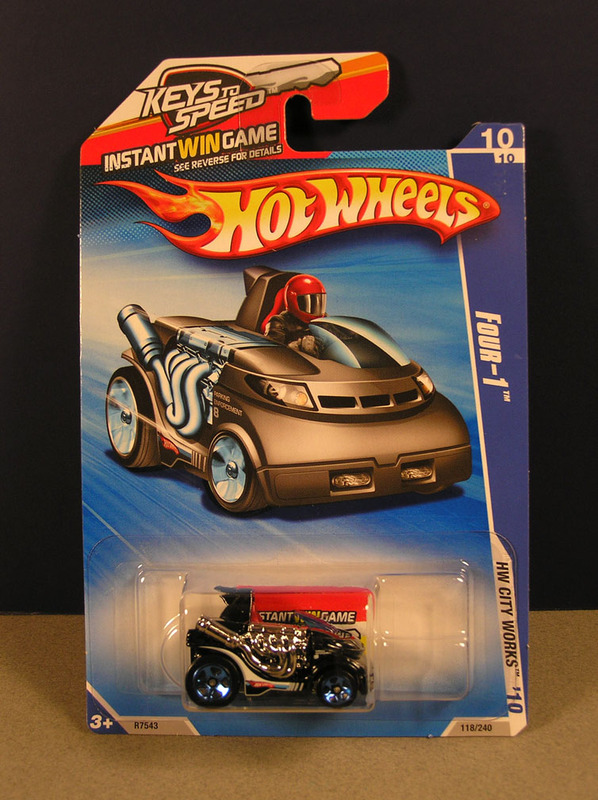 It happened with Attactix, it happened with Hotwheels mystery cars, it will happen with these minifigures. I thought the bar code breaker was a perfect compromise. It lets collectors get what they want with a little detective work, and it lets casual buyers still pick up something mysterious. Of course you can still play what's in the package and press, and smoosh, and identify with your fingers, but it takes a while and you look silly doing it. I bought eight to start, and went 7 for 8 with one repeat. I smooshed them all in the comforts of home, its a Sumo, so if someone wants to trade for it, let me know. I think I will go back and smoosh a few under a clothing rack or something, I Hope that won't be too creepy. Maybe I can get a gram scale, and measure each minifigures mass, then we would know which pack weighs what, and get this code cracked. I'm a sucker for the smaller Hot Wheels cars. This little black Four-1, seats 1 but has a four cylinder engine. I bet this car could find a parking spot anywhere. Might be crossing the line with this one, but as soon as I saw Neytiri out of the package, and how inappropriately she was dressed for a toy, and still not knowing what to do with Jake Sully in a wheel chair, well stop motion gold happened. Enjoy. I have a stock pile of toys in boxes by my desk that really needs some attention. 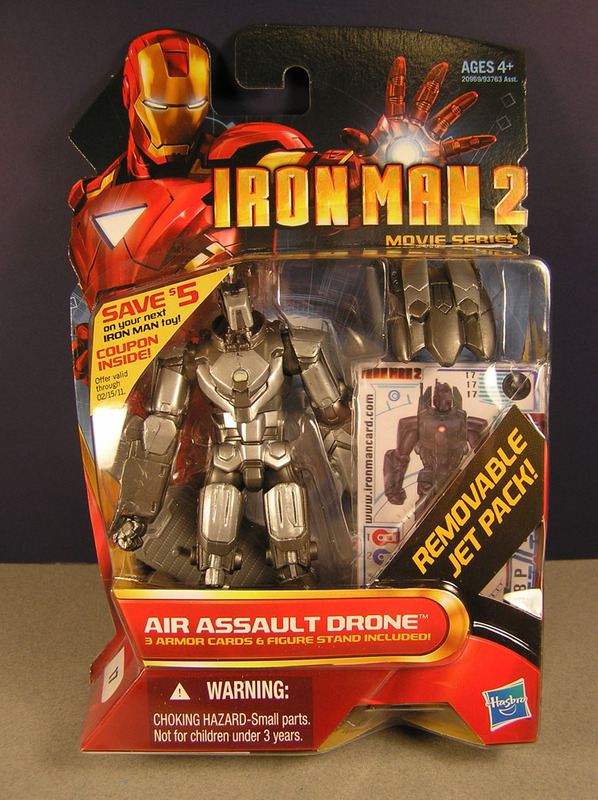 Iron Man Mark II finally gets a chance to fly out of the package tonight (and yes, I will send out your Lego Minifigure soon bubbashelby, and yes, sad that the Post Office is only a couple blocks away!). 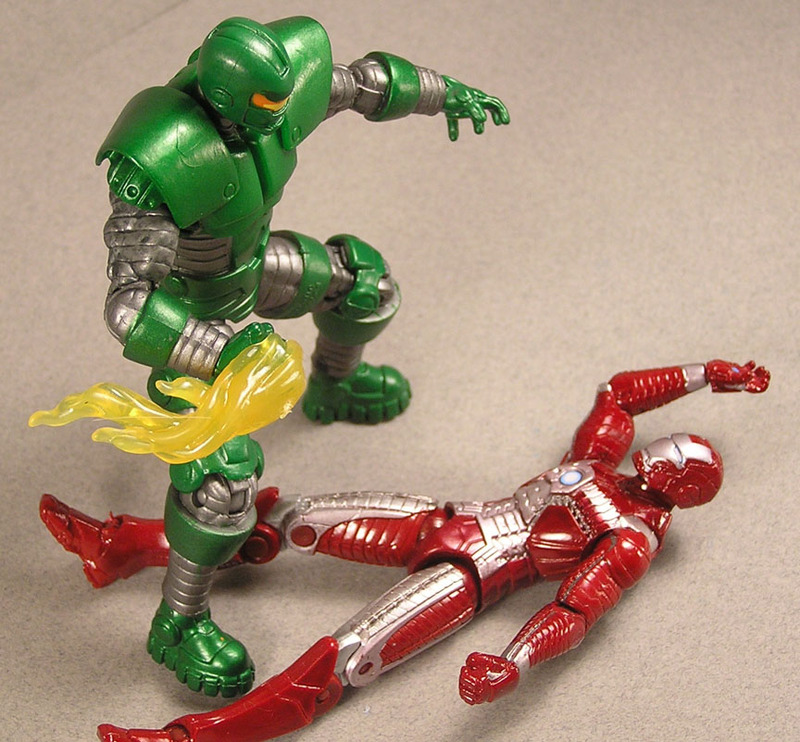 Each new Iron Man figure out of the package becomes my favorite. I like how shiny this guy is, but not being super reflective. In the box all the black line detailing looks funny, but in hand looks nice. 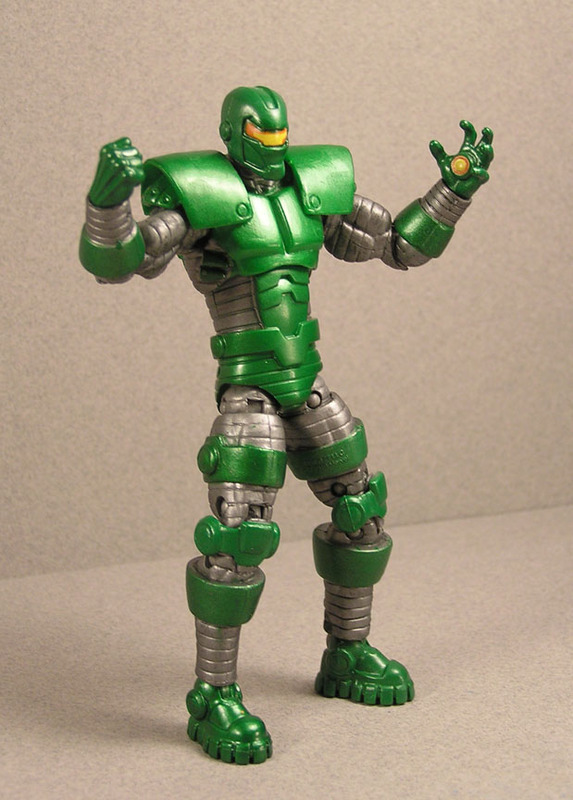 This figure is solid too, no loose joints. His weapon launcher fits firmly on arm, but a little dorky looking. 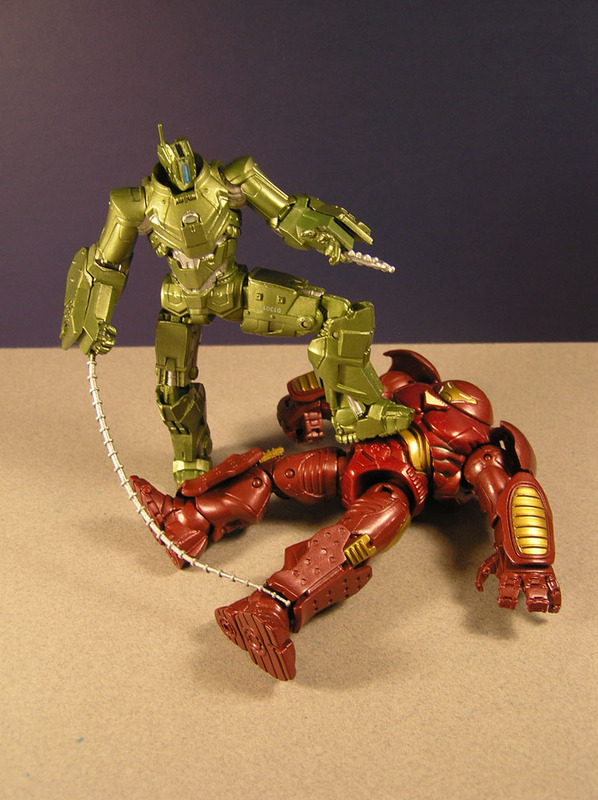 A vary impressive action figure all around. The Mark I suit from the first Iron Man movie is a fan favorite. Out of all the suits, this one looks like it could actually exist (maybe not fly, but exist). It looks like Tony got hit by a steam train. 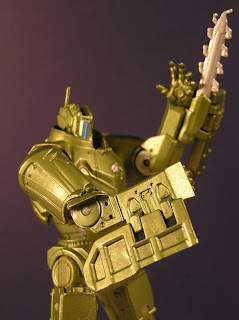 Overall the figure looks great, but I am not too keen on his weapon launcher. It's hard to say how it really fits on his arm. I wish it fit into a peg or something more solid. But you don't need to use it, so it doesn't harm the figure. 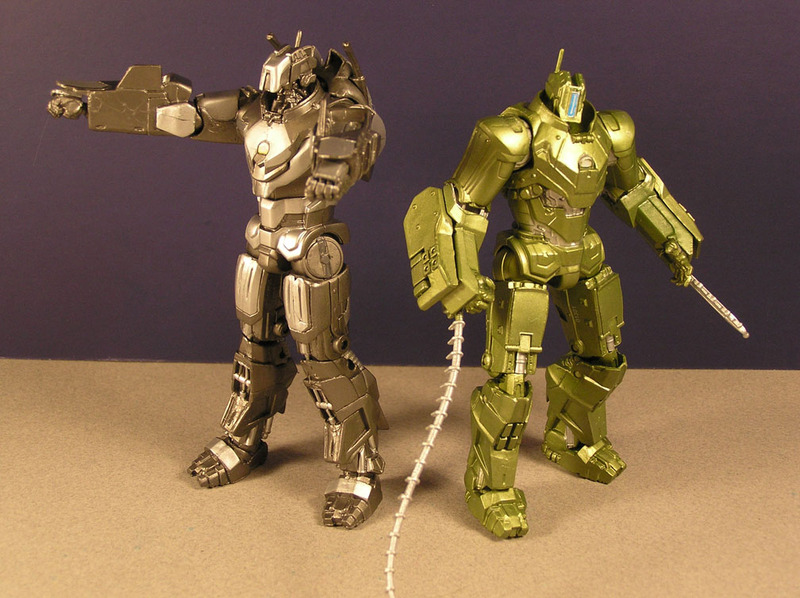 Hasbro did a fine job releasing many different kinds of suits from the movie, comic, and concept lines for these figures. A way better idea, then the neon Bat suits that we saw from Batman Returns days. Although I think I did see a Lumber Jack green Iron man for his forest missions. The gear belts on his legs are pretty cool. It would be neat if they moved, but understandable that they don't. I like the detail on the back side torso of this suit. There's some machinery of sorts above his waist in black that makes for a nice industrial look. 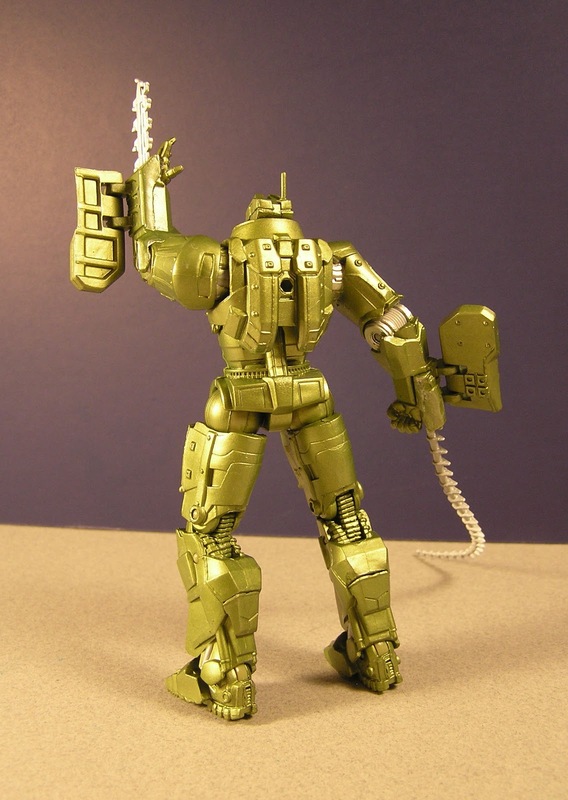 His articulation is pretty good for a bulky suit, about what is expected. I doubt he could tie his shoes, but hey no laces to tie! Mark 1 Movie and Mark 1 comic immediately become friends of course. So many stories to share. 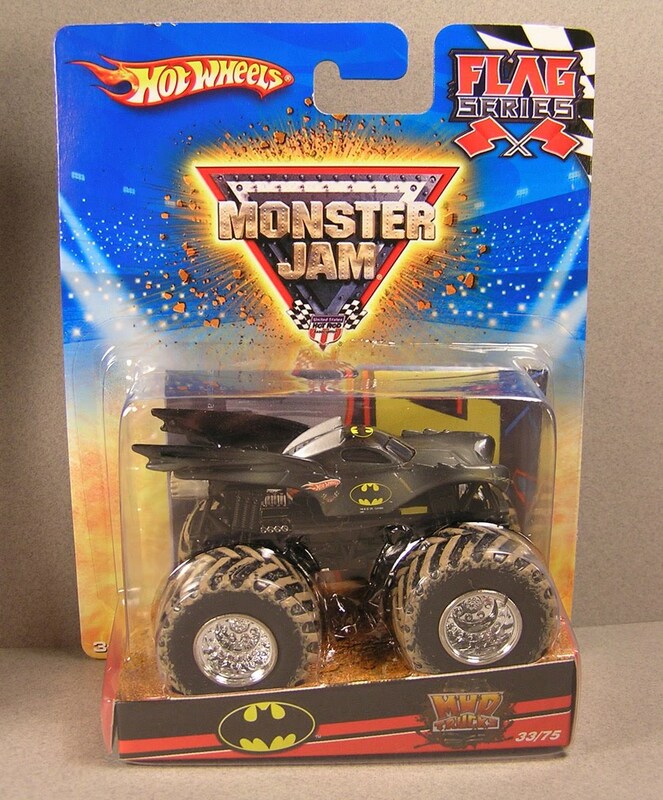 This years Hot Wheels Monster Jam line is awesome. 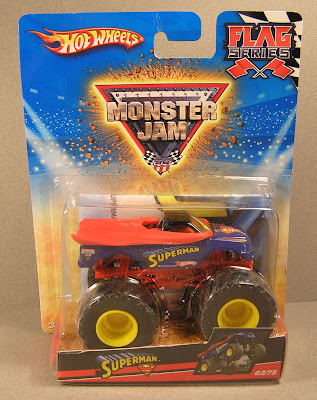 I believe the year was 1998, when I swore off school, and played Monster Truck Madness on PC for about a year straight. 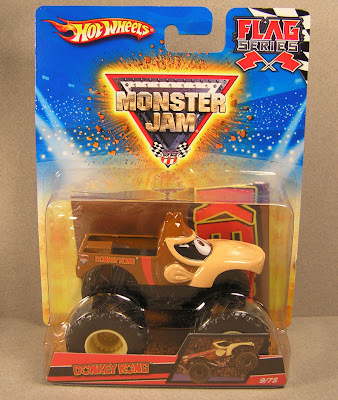 Of course my favorite truck, Monster Patrol, has yet to be found or made? 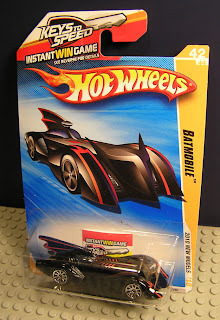 I finally found the single Batmobile today. This one had less mud on the hood then some of the others. At what point will Batman take this out in a movie, I can't wait. The Donkey Kong truck is cute with the eyes on the windshield and red tie hanging off the front. The Superman truck makes perfect sense, sporting a full red cape. I would love to see that truck in action. I haven't decided to tear these out of the package yet, but I have played with a few others. They have some pretty neat suspension, and can roll like crazy. I rolled one down a friends wooden deck, and the truck bounced about but held its own all the way across. 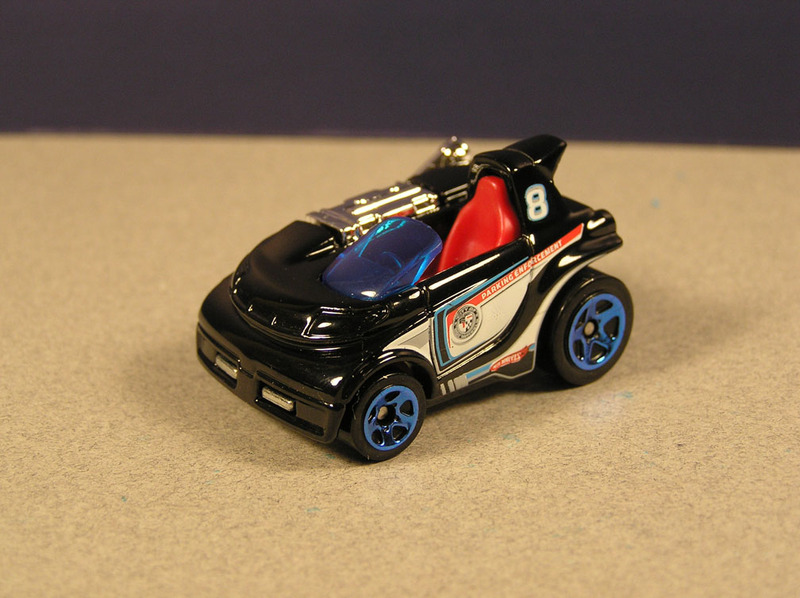 They have pretty good detail too with lots of tiny logos. They might not take ton of pounding, plastic wise, as the wheel cage frame is somewhat weak. 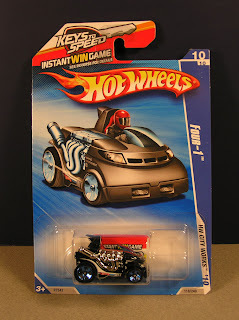 Still an awesome toy to play with, and be sure to pick up more than one. 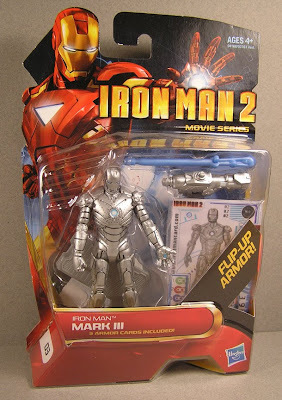 Confusion over Iron Man mark II, and Iron Man mark III solved? 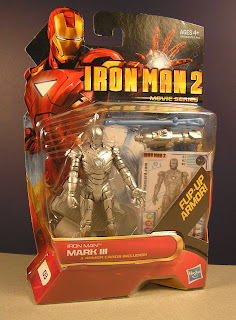 So the story went; I go to store, I want a mark II Iron Man, I find one. Later when I get home I realize its not a Mark II but a Mark III, but it looks like a Mark II. 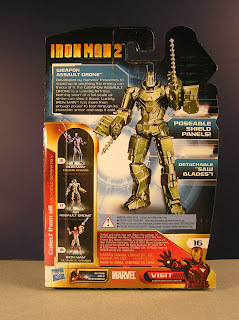 I look at back of boxes, and there is another figure for Mark II, that has a missile launcher on a different arm. SO, is there a different silver ones? Maybe its a Mark II from the comics and not movie. I am so confused. 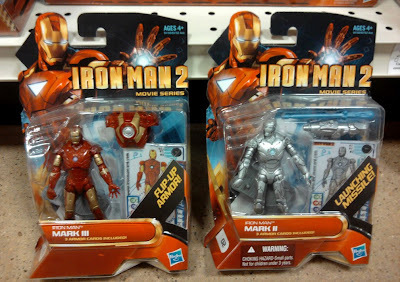 I go back to store, look at other Mark II figures, and determine that the one I bought was just mislabeled. 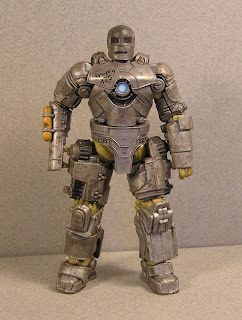 Mark III - Tony's improved suit, painted, end of movie Iron Man 1. 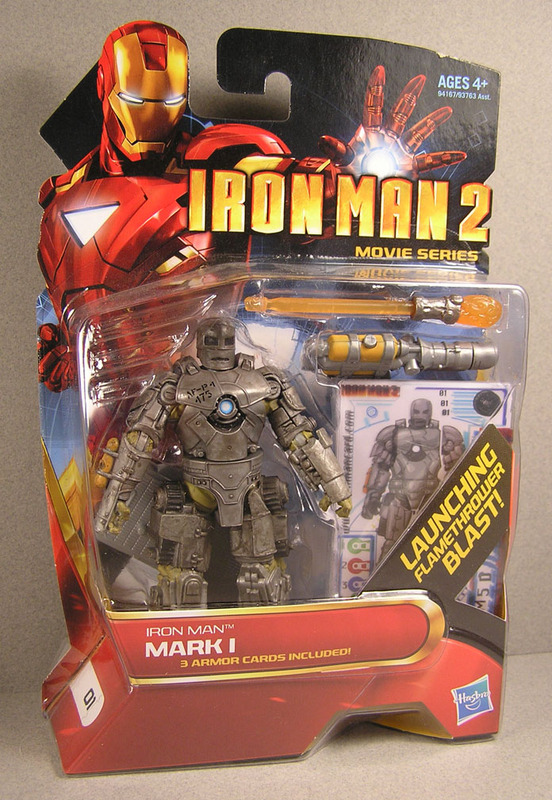 Mark IV - Tony's improved Iron Man suit used at beginning of Iron Man 2. 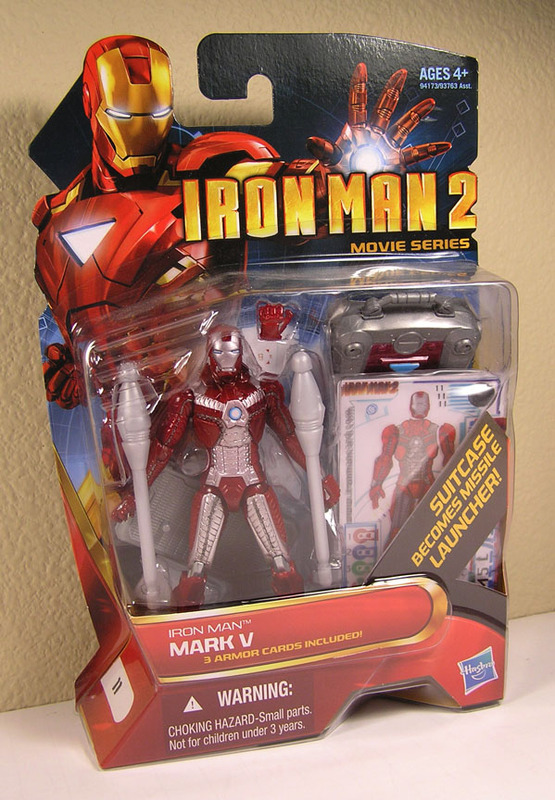 Mark V - Tony's suitcase Iron Man suit. 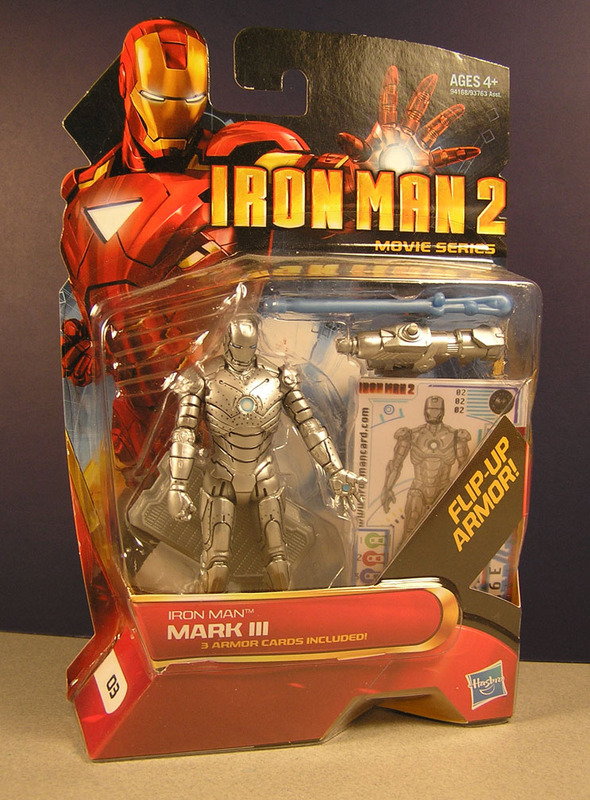 Mark VI - Tony's newest suit, scene at end of Iron Man 2. What's wrong with this Iron Man Contest! Free Prize! 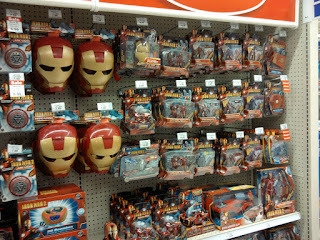 Now that Iron Man 2 is over ten days old, many of the stores have good deals on the figures. Most stores in town this week are doing five dollar sales. 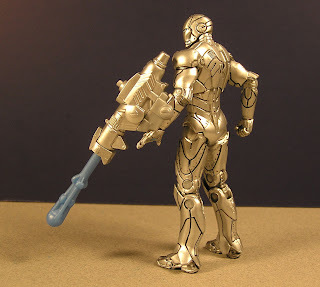 With that kind of price, Titanium Man is a steal. 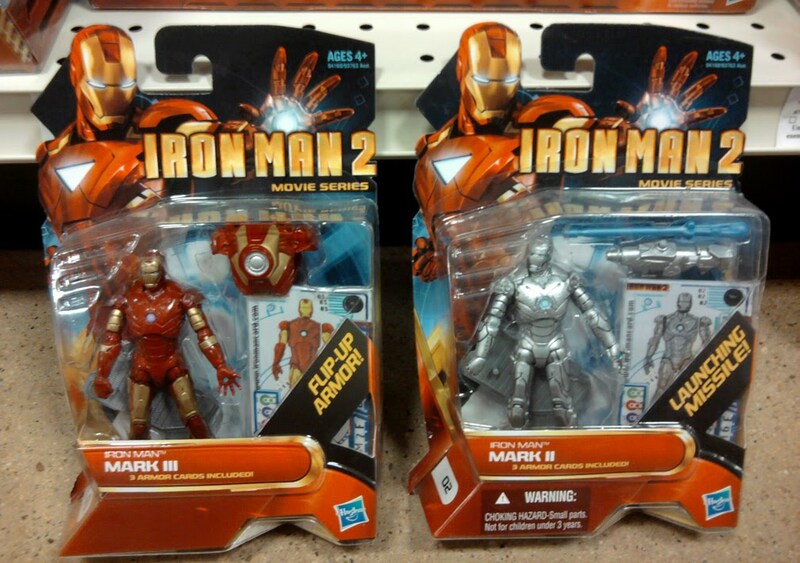 I'm sure clearance prices are not far off, but I doubt Titanium Man will be defeated by clearance. He reminds me of a green Colossus. 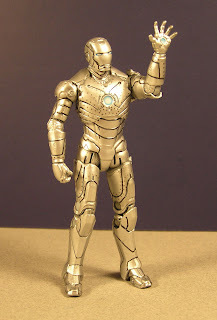 His articulation is a tad better than some of the other Iron Man figures. My figure number is 00201, I don't think I have ever seen that so low. 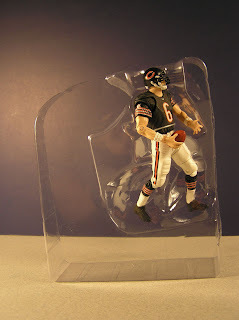 What, did I just open a rare 10,000 dollar figure?!? Oh well, Tony would have wanted it that way, to be beaten by something spendy. Gotta say the suitcase suit is my favorite from the new movie. 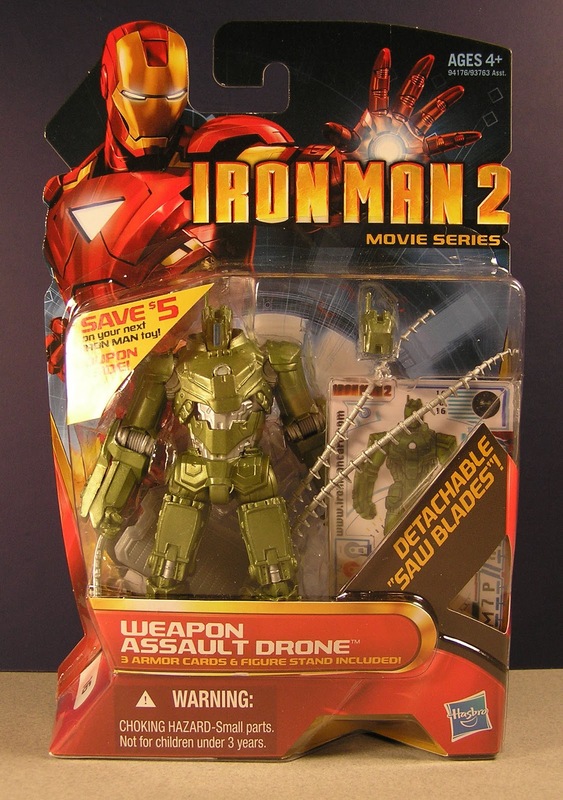 Yes, you could make "How Iron Man 2 Should have ended", with Whiplash cutting Iron Man in half as his suit took its time forming around Tony, but I'll let that slide. 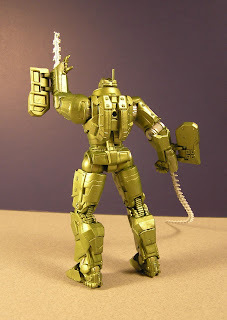 The figure comes with a suitcase of course, some missiles that fire out of the suitcase of course, and an extra hand to carry the suitcase of course. 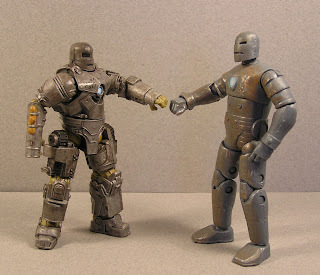 I guess they really really wanted to include a fist for Iron Man that interchanges with a hand that holds the suitcase. 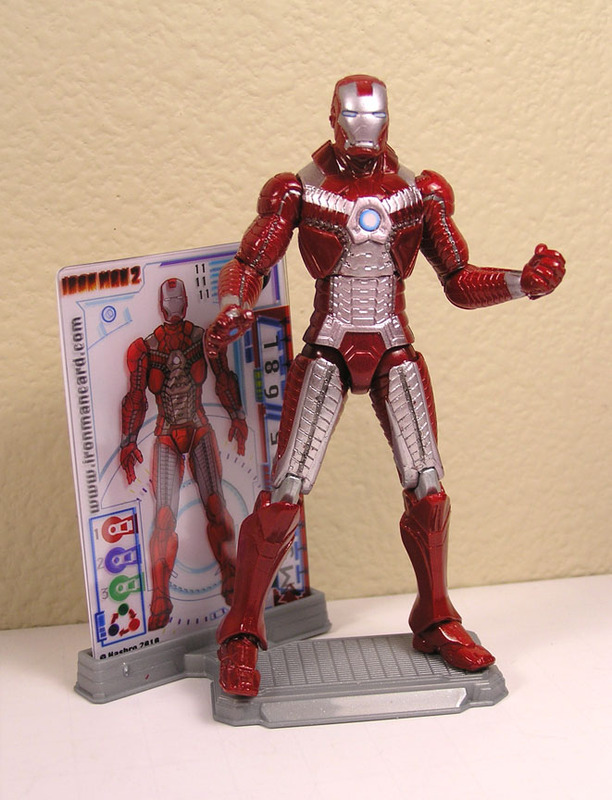 The overall look of the figure is great. He has that tin foil look. His articulation could be better. He can't raise his arms outwards very well. 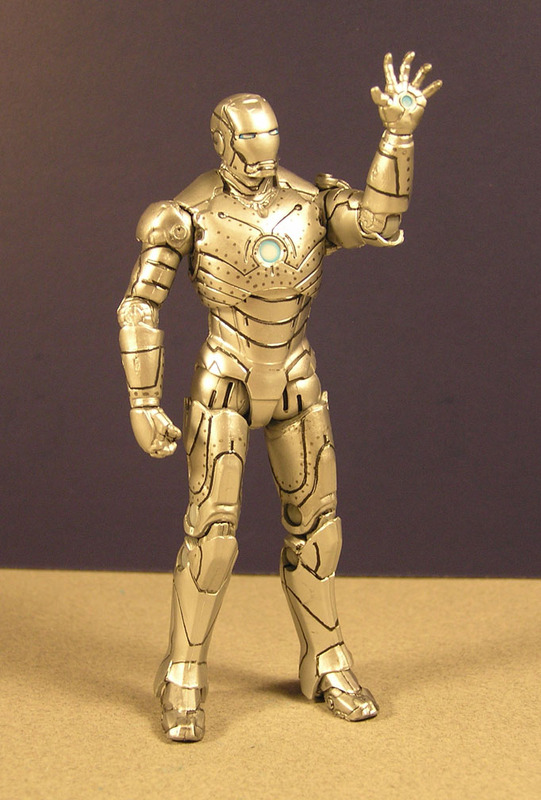 He can't sit very well, which is common with many of the Iron Man figures. 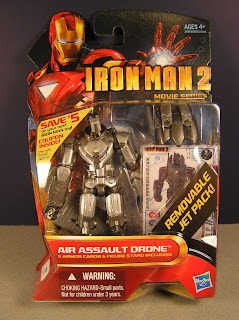 Also missing on these Iron Man figures is a neck joint that allows the figure to look ahead while flying. 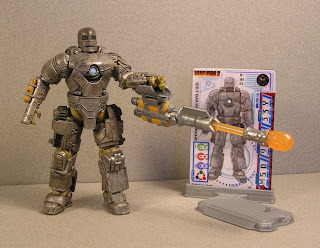 With that aside, I keep buying them, and will soon build by own Iron Man suit made of Iron Man action figures.